As an entrepreneur, you've probably set your sights high. You dream of a reality that others would brush off as, well, simply a dream. You envision creating a brand that crosses oceans and continents in its importance and recognition. You don't think in multiples of one, but instead in hundreds, perhaps thousands. And you might even be calculating not if but when your business will officially cross the threshold from the millions to $1 billion. And even in the throes of a recession, you hold on to that vision, knowing that if you can build the foundation and survive now, you will thrive later. We recently caught up with two individuals who have survived turbulent waters, skillfully navigating their companies through the dotcom bust and building billion-dollar companies before age 40. Here's how they made a billion happen--in their own ways and on their own terms. 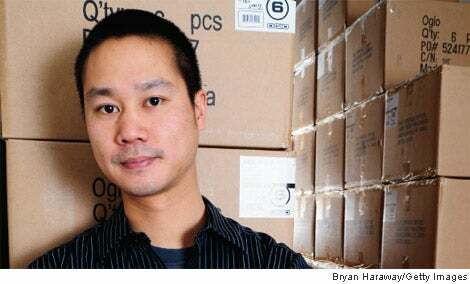 Tony Hsieh, 35, is a smart investor who placed his bets on a small startup called Zappos.com in August 1999 but then became so convinced of the potential in the marketplace for an online shoe retailer that he joined full time, ultimately outlasting even the founder. Over the past decade, he has taken the Las Vegas-based company well beyond shoes into apparel, bags, housewares, electronics and cookware. There's no better way to build a billion-dollar company than by starting off with an idea that has billion-dollar potential. Even at a time when the internet hadn't yet become such a prominent shopping destination, Hsieh knew Zappos.com was a business concept with potential. "At that time, footwear in the U.S. was a $40-billion-a-year industry, and paper and mail-order catalogs were 5 percent of that, or $2 billion a year," he explains. "In our minds, it seemed the web was going to at least surpass paper catalogs." For Hsieh, the equation spelled success, and he didn't hesitate to move forward, confident that the numbers would work in his favor. Zappos.com weathered the dotcom bust by focusing less on attracting new customers and concentrating more on retaining old ones. Word about the service-friendly business spread quickly, and the number of repeat customers increased. It introduced free shipping long before it was a common business practice, and the company continues to go above and beyond for customers. It has a 365-day return policy and even relocated the entire warehouse from California to Kentucky to be near UPS's hub and ensure faster delivery of its merchandise. Customer service got the company through hard times and has become an identifying characteristic of the business. Hsieh says it's the No. 1 driver behind Zappos.com reaching $1 billion in gross merchandise sales. For Chasen, competitors already existed when he entered the space, so it was a matter of creating a better product, building a better business model and meeting the right people. He chose to build Blackboard using a subscription model in which the school would pay annually to continue using the software. This simple decision would later become the company's lifeline. When the tech bubble burst and financing dried up, Blackboard stayed afloat thanks to $40 million coming in from annual subscriptions. But before any of that could happen, Chasen had to get the word out. He attended networking events, signed up for business plan competitions and met with as many investors as possible. As a result, Chasen not only raised about half a million dollars in his first round of angel financing, but also met a group of Cornell University students who had developed tools for bringing teaching and learning online. He persuaded them to come on board after graduation. "Talk to as many people as you can and get as much feedback as possible," Chasen says. "It's only by tapping that greater collective of knowledge that you can really succeed." Want to build a billion-dollar business? Here are some tips from Bill Bartmann, CEO of BillionaireU.com, an online business educational resource. Think big. Think exponentially--shoot for 200 percent growth vs. 20 percent. Do the unconventional. No one ever became a billionaire doing what "everyone else" is doing. Believe in yourself and your idea. If you're unwavering in your belief, you'll infect all those around you. Share your vision. Tell everyone what you plan to accomplish. Some will help. Execute. Get off the couch. Great ideas are a dime a dozen. Focus. Do one thing extremely well. Multitasking is multistupid. Never give up. Every successful person achieved that status after plowing through tough times and failures. Reaching $1 billion requires scaling a business effectively. Chasen has kept one step ahead by making sure the right management team is in place every step of the way. He says, "We've continued to hire and expand and improve our management team along the way, always looking not at where the company is today, but where the company is going to be five years from now and making sure we have the right team in place to get us there." He has also mastered the art of M&A, which has contributed largely to the company's growth. He saved money and time by acquiring businesses or technologies that fit with the company's product offerings. Through acquisitions, Blackboard added Blackboard Transact, a student ID card that doubles as a debit card, as well as Blackboard Connect, an emergency notification and alert system. "With M&A, it's not an either/or vs. organic growth," Chasen says. "It's really something that's additive, and when we reach a certain size, it's often one of the better ways to deploy capital." Hsieh has been able to stay ahead of the curve by creating an environment where his employees feel empowered to contribute ideas and take charge. He invests time in teaching his employees, knowing it will pay off in the long run. In fact, the company just rolled out management and leadership training classes to equip employees with the know-how to grow within the company. Hsieh also advocates creating a strong company culture. Ten core values make up the culture at Zappos.com--"Embrace and drive change" and "Create fun and a little weirdness" top the list. Culture is so important that it's integrated into the interview pro-cess: Applicants are asked to rank their weirdness on a scale of one to 10, for example--and qualified people have been rejected because they didn't fit the company culture. Says Hsieh, "The most important thing is that there's a culture you believe in and are willing to hire and fire based upon." Today, Zappos.com stocks millions of shoes and more than 1,000 brands, and requires the work of approximately 1,600 employees. Blackboard serves more than 3,000 colleges worldwide and more than 400 K-12 districts. The company went public in 2004 and employs 1,100 people. These businesses' successes didn't happen overnight, nor are they immune to hard times. At the end of 2008, Blackboard's stock price was down by 30 percent due to the economic downturn. But Hsieh and Chasen aren't anywhere close to slowing down. "Less than 200 schools in China and 30 schools in the Middle East are using Blackboard technology, and there are hundreds of millions of learners in those areas that are not yet using technology in the education process," Chasen says. "In places like those, we are in the very beginning. So if you look at it as a global opportunity, which we do, we still have a very long distance to go." For Hsieh, selling shoes online was just the launching point. Now he's working toward making people forget that Zappos.com ever sold only shoes by expanding into different product lines. Hsieh has even fielded customer requests to start an airline. He doesn't make any promises, but he considers it a real possibility in the future. Anything is possible. Such is the attitude of a billionaire entrepreneur.